Now that the Project Runway bandwagonism...um hype...has died down I think it's nice ever so often to remind ourselves that not besides Anya (who just showed at Mercedes Benz Fashion Week South Africa) other Trinis are also doing it big in the international fashion scene. 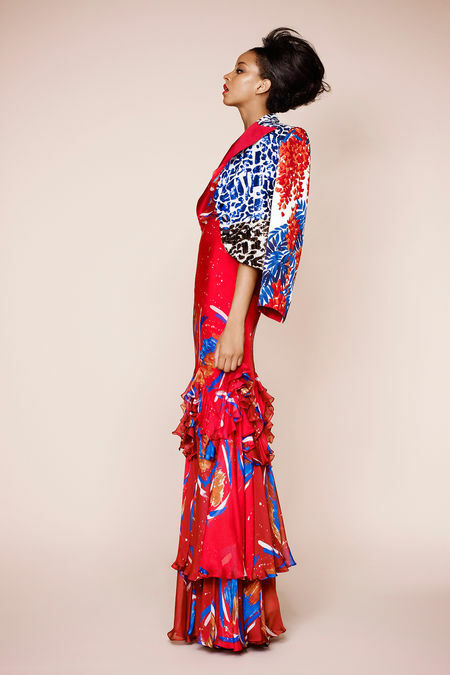 Michelene Auguste was selected to model designer Duro Olowu's Spring 2013 collection a couple months ago. The collection features sumptuous crazy mashups of print, which of course, I love. Do enjoy. All pics courtesy style.com. See more of Duro Olowu and Michelene here.